Richard Young is well known throughout the Caribbean as a stylist, production designer and impresario. He is the founder/artistic director of his own event management/production design company. 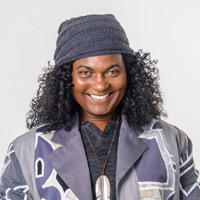 For the past twenty five years, he has been working extensively throughout the Caribbean producing fashion/beauty/arts related events from the Bahamas in the North, to Guyana in the South, with stints in Miami, New York, Toronto and Montreal. Cuttin’ Style Caribbean was commissioned by the TORONTO 2015 Pan Am / Parapan Am Games arts and culture festival, PANAMANIA presented by CIBC. © 2019 Cuttin' Style Caribbean.